I like to think I’m pretty dedicated to bringing you guys footage of NZ Car Culture. I even go to the lengths of shooting in the rain! But I love doing it shooting it and Garage H love running it. 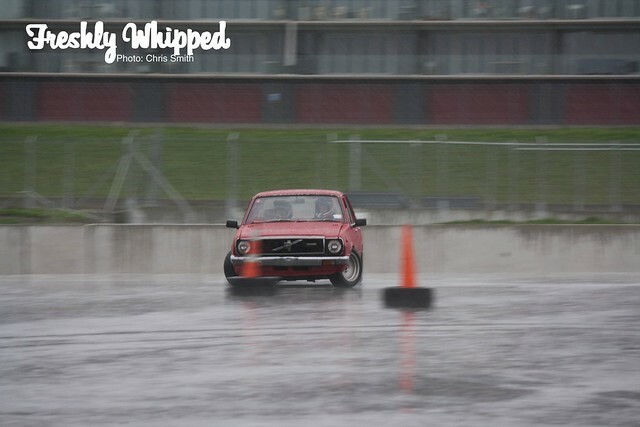 Garage H hosted another one of their awesome days at Hampton on Saturday. 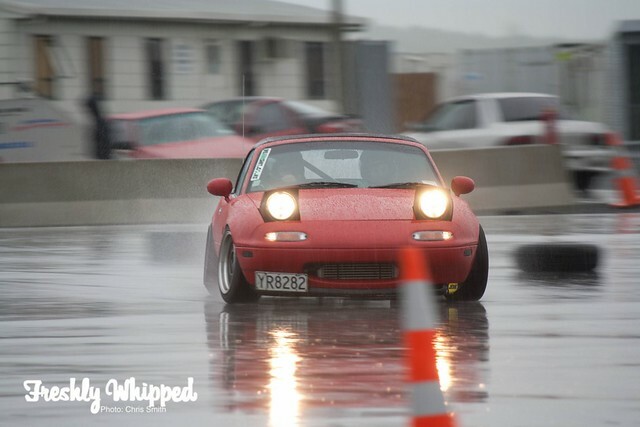 I stuck around for a bit to get some action of the cars sliding in pouring rain. 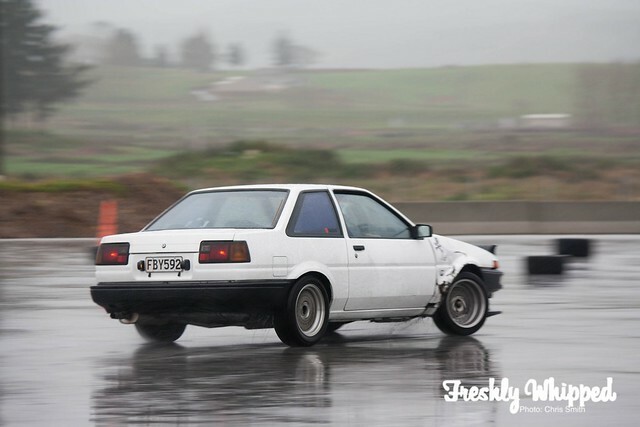 There was points where cars weren’t sliding, such as Aaron Bennett’s old AE86. I always wondered what happened to that car.. Jock Bennett, Aaron’s brother was out having a play in it. 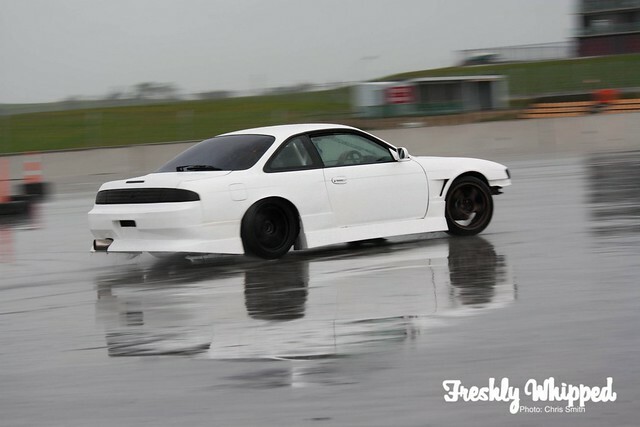 Matt Sellers was out in his S14 giving it a slide. The car has a GRiD inspired livery and rocks it well. 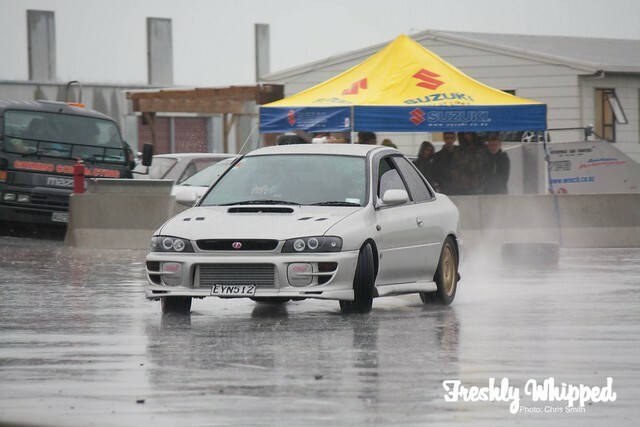 Our good friend Carl Ruiterman was out in his WRX giving it a hard time. 4WD Stand stills aren’t easy, but it was for Carl. I’ve shot this little car a few times and only after seeing this photo did I notice its ‘face’. For some reason I can’t un-see a slightly happy face made from the lights and bumper.. Luke has certainly done a great job with this car. 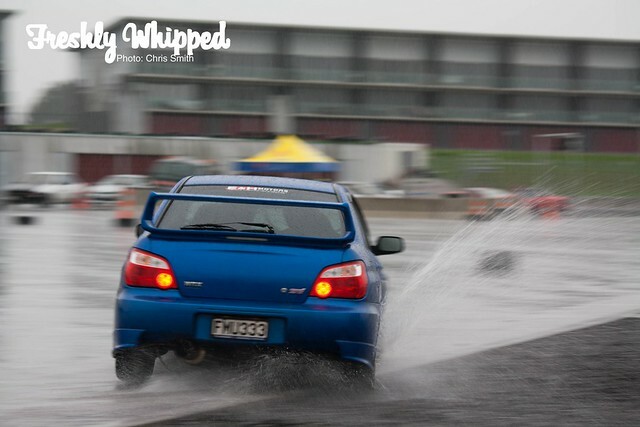 RWD Impreza’s are always lots of fun. 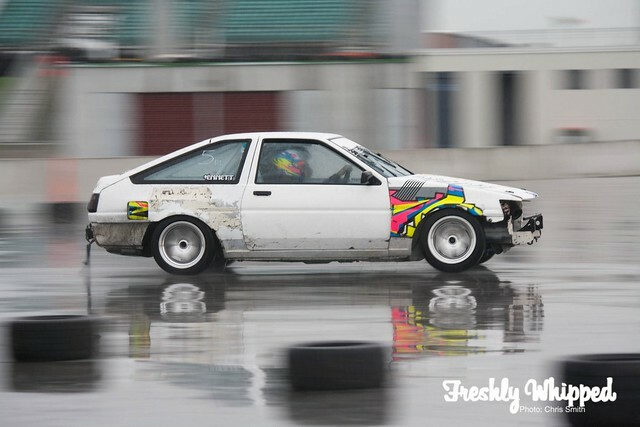 Keith was flooring it straight out of the starting line with the rear of the car bursting straight out. More than one S14 was out sliding also..
Brad Smith with his 4AGE goodness! Purple S13 anyone? I love the dish in the wheels. We actually have quite a few 85/86′s in New Zealand. I don’t think we’re going to run out of them any time soon, with many being restored to their former glory. Nic’s one is coming along very well. And here’s one last photo of the MX5. 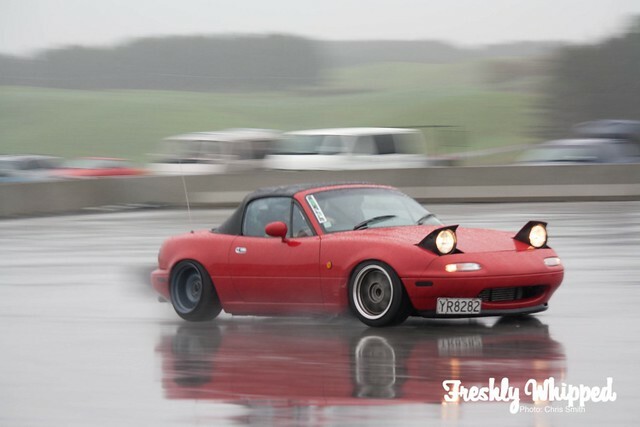 Love the widened steelies… Love the whole car actually..
More photos on Facebook as usual.